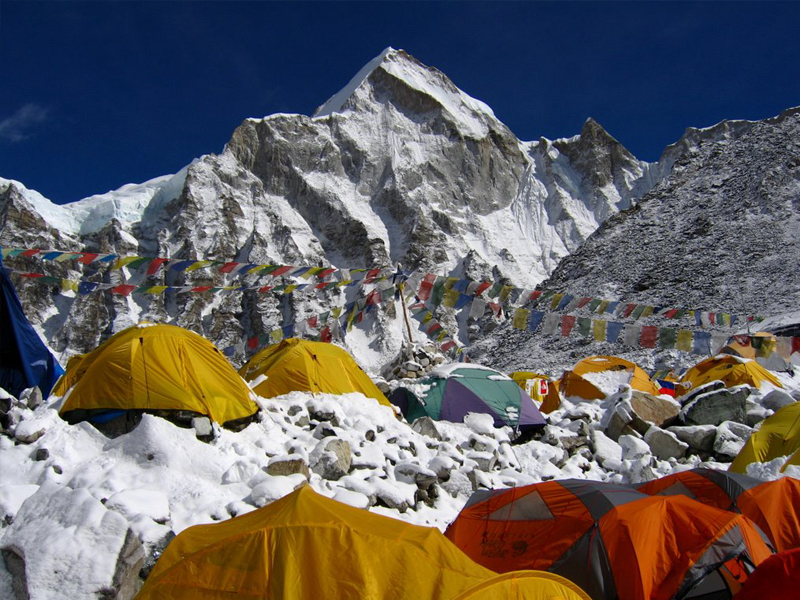 Everest Base Camp Trekking is the most famous and typical treks in the Khumbu region. The Kalapathar, another high pass of the Everest Base Camp route and it is listing, the most popular viewpoint as well as the best place to capture the image. This trek is popular, incredible views of another mountain, more than 6000 meter high peaks such as Lhotse, Cho Oyu, Nuptse, Thamserku, Amadablam, Pumori and Island Peak. 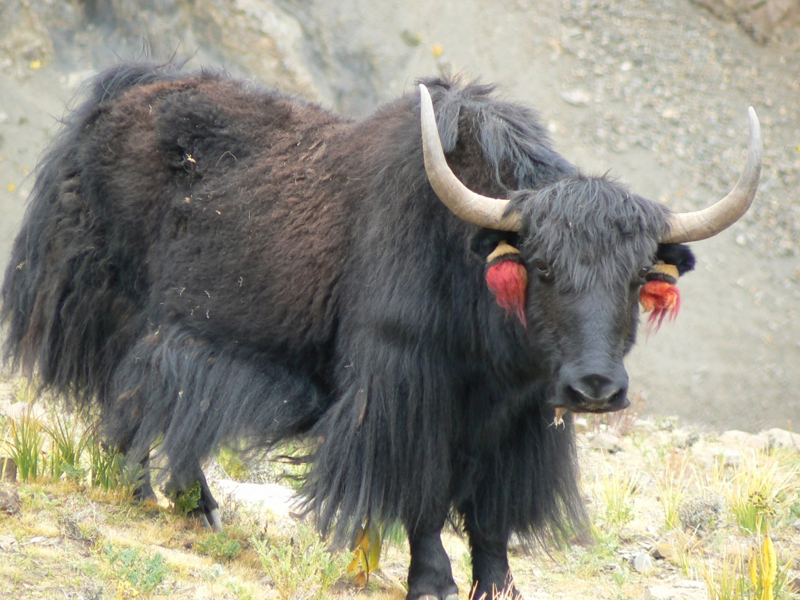 This trek also offers you to explore the beautiful Khumbu region, as a home of legendary Sherpa peoples and their traditional culture and their lifestyle. 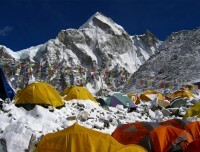 Everest Base Camp Trek will complete in 14 days, including your arrival and departure day. It is the fully customized package, come with fixed departure. 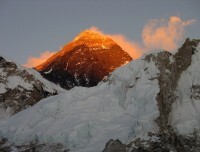 The best season to visit Everest Base Camp Trek are spring (March-May) and autumn (October- November). This trek will lead, our English speaking mountain experience trekking guide. We have been providing the best quality service in the Everest region and also reasonable and affordable price in the packages. 14 days Everest Base Camp Trek starts in the morning with a short flight nearly 40-minute, from Kathmandu and landed at the Hillary airport at Lukla. No road facilities to reach Lukla, therefore only accessible either by air or a seven-day walk from Jiri. 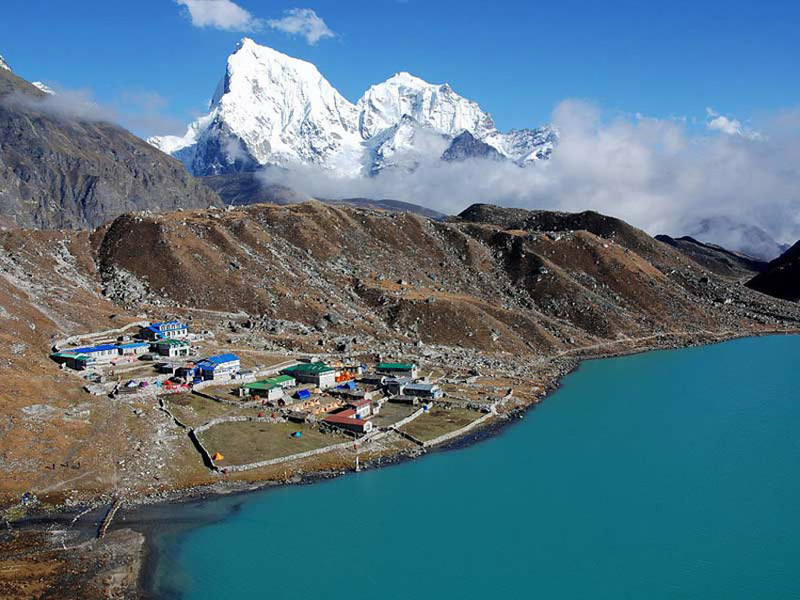 We will start to walk through Sagarmatha National Park, whereas should be obvious juniper forests, consist of blue pine, birch, rhododendron, and fir etc., with glaciers, snow, and rock. Trekking within the alpine areas is a thrilling experience. The trek can complete within a short or long period of time. And Phakding, Namche Bazaar, Tengboche, Dingboche, Lobuche, Gorakshep, and Everest Base Camp then return back to Lukla along Pheriche before taking a flight to Kathmandu, the most popular for wildlife viewing, Sherpa culture, and beautiful Himalayan view. This trek is truly magical and a lifetime experience. Airport picks up and drop. All food (Breakfast, Lunch, and Dinner) in trekking. Hot drinks (Tea and coffee) 3 times a day. All require national park and entry Permit. All food, drinks, Lodge, salary, Insurance, medical equipment, for guide and porters. Day 01in Kathmandu airport (1345 meter)After arrival at Tribhuvan International Airport (TIA) in Kathmandu, you will meet our representative who will receive you outside the airport with Nepal Glacier Treks and Expedition’s signboard and transfer to your respective hotel by private vehicle. at a hotel, we discuss the trip, introduce with Trek leader and ensure all equipment as well as documents. You will enjoy the evening yourself and then have a pleasant stay at a hotel in Kathmandu. Day 02Flight to Lukla (2810 meter) and trek to Phakding (2652 meter) After breakfast in the morning, we will take a short flight nearly 40 minute from Kathmandu to Lukla airport where we start our Everest region trek. During the flight east to west we will see magical views of different Himalayan Mountain peak like as Mt. Kanchenjunga, Mt. Lhotse, Mt. Nuptse, Mt. Makalu, and also we can get close- up view of Gaurishankar, Langtang and many other beautiful Mountain peaks throughout the flight. After landing we will meet our other crew members and before some packing and starts trek we may take a rest, we will begin our trek through the Lukla until Phakding. We will walk along the bank of Dudh Koshi river and will be heading toward the Phakding village. After Phakding we don’t hike up and have a pleasant stay at guesthouse in Phakding. Day 03Trek to Namche Bazaar (3446 meter) On this day, after hot breakfast we begins walk along the Dudh Koshi. We cross Dhudh Koshi by Hillary suspension bridge, Beautiful pine forests, river sounds, and might be see some of wild animals too. We toward Namche Bazaar via forests of blooming rhododendron and reach the top of the ridge that offers beautiful views of Mt. 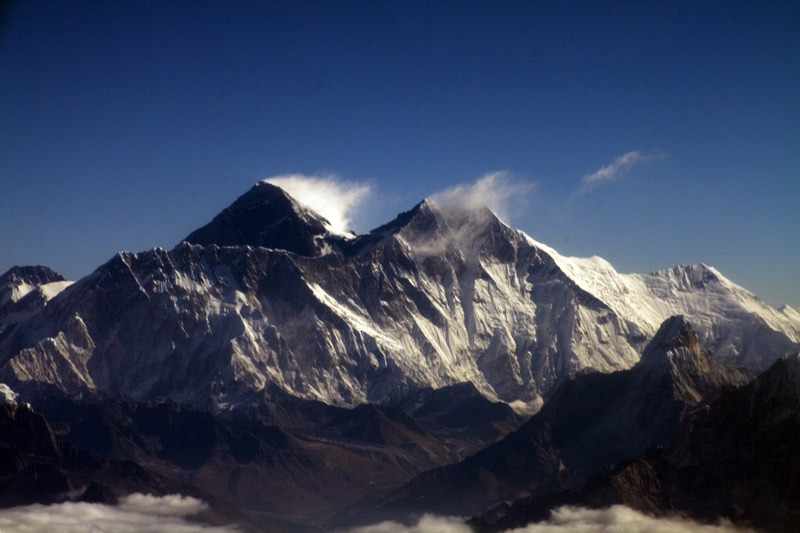 Everest (8848 meter), Nuptse (7879 meter), Thamserku (6623 meter), and Kusum Kanggru (6369 meter) mountains. Finally we reach the Namche Bazaar, which is known as rich of Buddhist Sherpa culture as well as home of Sherpa people, where some shop and traders are selling Tibetan Jewelry and handicrafts from Tibet and also their own local product like Potato, wheat, maize, millet etc. 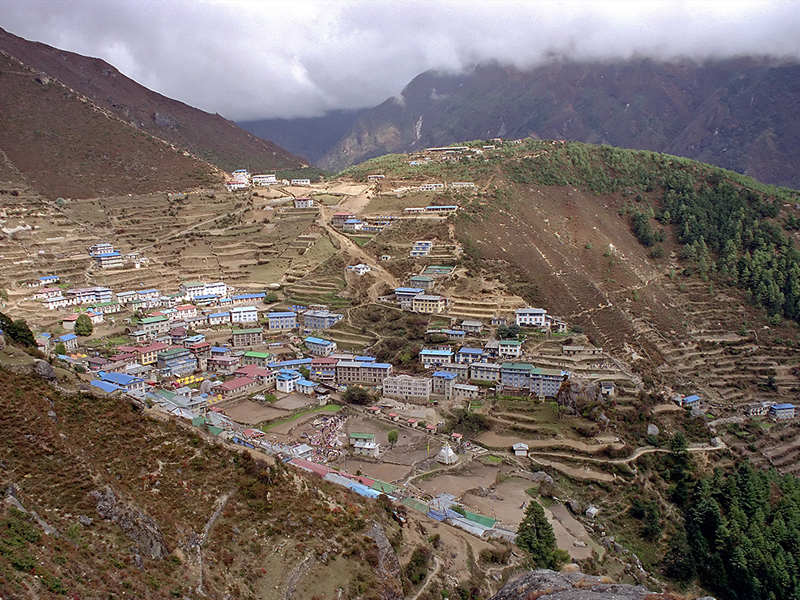 We will check in to a local guesthouse and have a pleasant stay at guesthouse in Namche Bazaar. Day 04Rest day in Namche Bazaar Today, we take a rest in Namche Bazaar. This is a very important to spend a day because altitude sickness can be quite serious and risk for trekkers. After breakfast we will explore the Namche Bazaar and their traditional cultural, old Sherpa village, and as well as Khumjung, Khude or Thame villages. We visits Sagarmatha National Park’s headquater, Sagarmatha is traditional Nepali Name for Everest, which is located in the hill top from where we can explore spectacular views of Mt. Everest, Mt. Lhotse, Mt. Amadablam, Mt. Kwangde, Mt. Thamserku, Mt. Kusum Kanggaru and green views of National Park from the hill top. The National Park office displays to learn more about Sherpa people, traditional culture and their custom. We hike up slowly to Syangbuche airstrip, one of the highest airstrip in the world which is located in 4200 meter and it is the best view point. 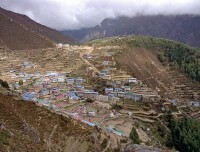 Other popular area is Khumjung village it’s a Museam, Hillary’s school and hospital. We will return to Namche Bazaar after exploring this delightful Sherpa village and beautiful mountains, and have a pleasant stay at guesthouse in Namche Bazaar. Day 05Trek to Tengbuche (3846 meter) After having hot breakfast, we continued trek to Tengbuche through the forest. Tengbuche is very famous for Buddhist monastery which is the highest Buddhist monastery in the world; it is also a place of mystery and spirituality. We will take five to six hours walk through beautiful village and forest as well as we can get panoramic views of Mt. 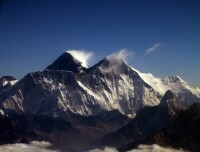 Everest (8848 meter), Nuptse (7879 meter), Lhotse (8618 meter), Amadablam (6856 meter) and Thamserku (6623 meter). And have a pleasant stay at guesthouse in Tengbuche. Day 06Trek to Dingbuche (4360 meter) Leaving Tengbuche in the morning, we head towards Pheriche. The trail goes down to Dingbuche from Tengbuche, crosses another suspension bridge on the Imja River and climbs up to Pangbuche amongst thousands of MANI (Little Stupa) stones. Our uphill trek continues taking us to the unique and beautiful traditional Sherpa village of Dingbuche with its exciting views of Island peak, Amadablam and Lhotse. After crossing river and forest, we get to Dingbuche village where we will pleasant stay at local guesthouse in Dingbuche. Day 07Second rest day in Dingbuche This would be our second rest day in this schedule Everest Base Camp Trek, first rest day in Namche Bazaar. It is most important to let your body adjust and avoid altitude sickness. After breakfast we hike up to Nagerjun hill (5100 meter), which is located in the Chhukung valley directly above Dingbuche. This is a physically challenging day because we ascending the hill its takes up to 4- 5 hours altitude. From this altitude where we can see best views of Lobuche peak east (6119 meter), Lobuche peak west (6145 meter), Tangbuche peak (6367 meter), Amadablam peak (6856 meter), Thamserku peak (6608 meter) and Kangtega peak (6685 meter). We also could see Mt. Makalu, the world’s fifth highest mountain with great views of the Pheriche valley on a clear day. After a short rest we descend to Dingbuche, afternoon temperatures could get down rapidly as the sunset over the mountain tops and have a pleasant stay at guesthouse in Dingbuche. Day 08Trek to Lubuche (4930 meter) Today, the trail continues along the lateral moraine of the Khumbu Glacier and passes by stone memorials for climbers who have perished on nearby summits. We continue to climb as we are heading to the altitude of 4910 meters at Lobuche which is really just a few huts at the foot of giant Lobuche peak. Some breathing problems may arise today due to the altitude. We spend the night at guesthouse in Lobuche. Day 09Trek to Gorak shep (5140 meter)- Everest Base Camp (5463 meter)- Gorak shep Trek on 10th day continues through Khumbu Glacier. We will pursue the scenic path which offers views of Pumori, Khumutse and Nuptse mountains. Couple of hours later, we will reach Thangma Riju. Continuing further, we will reach Changri Glacier. We can get the very first view of Kala Patthar from the glacier. Walking further, we will arrive at Everest Base Camp (EBC) from where we can get views of Nuptse, Khumbutse and Pumori Mountains. After approximately 3 hrs of hiking you will arrive at Base Camp; enjoy the views of the Khumbu Glacier and icefall, where Everest Expedition begin and We will return to Gorakshep and we spend the night at guesthouse in Gorakshep. Day 10Trek to Pheriche (4210 meter) via Kala Pathar (5545 meter) This will be one of the most difficult yet rewarding days of the trek. Early in the morning in this day we start a hike up to Mt. KalaPatthar (5545 meter). The ascent is demanding but the climber gets the most magnificent mountain panorama: Everest, the highest point on the planet at 8848 meters, towers directly ahead and on all sides loom the other giants, Nuptse, Pumori, Chagatse, Lhotse and countless others. We make a quick descent to Gorak Shep for hot breakfast then trek down to Periche. And we spend the night at guesthouse in Pheriche. Day 11Trek down to Namche Bazaar Today according to our itinerary, we start walk to Namche Bazaar from Pheriche. Crossing the forest of rhododendron, juniper, and other alpine forests, we take different route descend to Pangboche village. Where we can see very oldest monastery which contains the scalp and bones of a “Yeti”, leaving beautiful mountains and green forests behind us and continues walking through the Tengboche before back to Namche Bazaar. We reach the Namche Bazaar in the afternoon and we spend the night at guesthouse in Namche Bazaar. Day 12Trek to Lukla After hot breakfast in the morning, we back to Lukla where the trek began our. We cross the Dudhkoshi River, lush forest and blooming rhododendron forest the reach Lukla after six to seven hours walk. We stay at guesthouse Lukla and prepare ourselves to board a flight back to Kathmandu on the next day, overnight at guesthouse in Lukla. Day 13Flight to Kathmandu Early in the morning having breakfast, we take short flight nearly 45 minutes to Kathmandu from Lukla airport. Important thing, sometimes flight will be delay because of weather conditions but you do not worry about it. We can safely flight back to Kathmandu, then our representative will transfer your hotel and refreshed and then rest at the hotel and overnight at hotel. Day 14Final departureThis is the last day of your package. You will be assisted with your last moment preparation and dropped at TIA, Kathmandu from where you will board the flight to your next destination. Please note, sometimes the flight can be delayed or cancelled. You are suggested to make sure that your travel insurance, three copies of passport size photos and passport is valid for at least six months before leaving your hometown. We request you, please book your trip as early as possible because if you gives us enough preparation time for your trip. It means your trip will be managed well and you will get full satisfaction from our services. And please ensure that you have got confirmation receipt from our company about your booking. If you need any special services and facilities that are not included in the listed itinerary, ensure that you have informed us about it at the time of booking. Would you want to book any other programs which are not listed in this website as tailor made package let us know by email; we will design it as per your travel need. Not really satisfied from this itinerary, you can make own and we will help you to make itinerary as per your travel need in Nepal. This little information is a standard outline and guide of what we provide. This trip can be customized at your demand to accommodation your exact requirements. Note: During the trip, weather, transport, local politics situation, strikes and numerous of other issues that are outside our control could result in change of itinerary. It is, but, very unlikely that the itinerary would be significantly different; if different itinerary are necessary the trek/ tour leader will resolve what is the best others. We discuss and observing the best interest of whole group. We can do everything to minimize its results, but we could not be responsible for the effects of delay and changes. A great adventure in Nepal!